We kick off our traditional fair visits this year with the renowned Hanse Spirit! 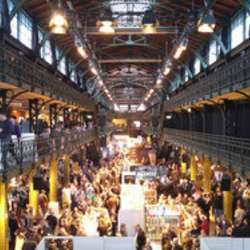 Since Protected content has established itself as the largest spirits fair in Hamburg. 100 exhibitors will present all sorts of spirits such as whisky (and whiskey), rum, tequila, pisco, brandy, gin, cognac, vodka and yes, even wine! Famous brands like Campari, Moet Henessy and Pernod Ricard will be present, but also smaller distilleries. Not only spirits will be offered, but also food, chocolate and cigars. The great variety of spirits will give everyone the opportunity to discover one's own taste preferences! Please note that this will largely not be a free tasting event, as most exhibitors charge around Protected content per glass. We will meet at 15:00 on Saturday at the main entrance. If you come by public transport, take the bus lines Protected content 112 from Altona or Landungsbrücken to Fischmarkt.